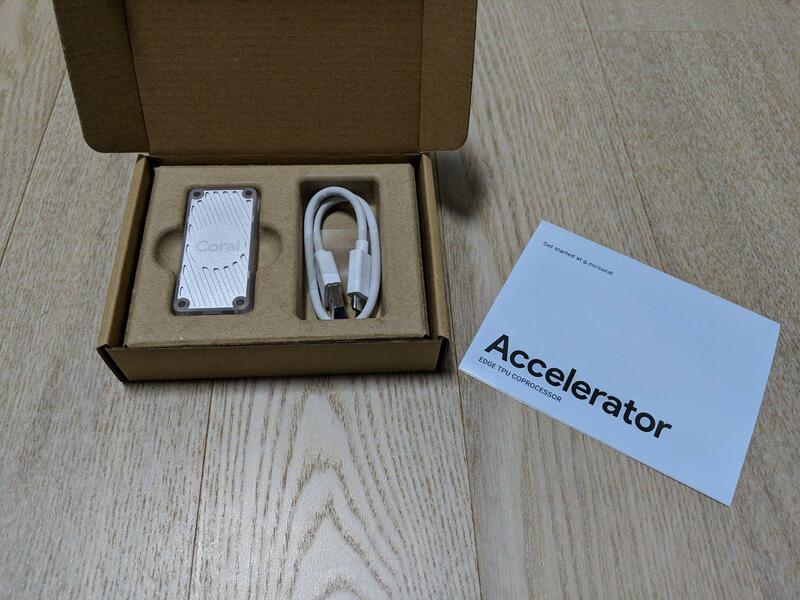 Hands-on with Coral USB Accelerator (for Raspberry Pi) | It’s me inside me. 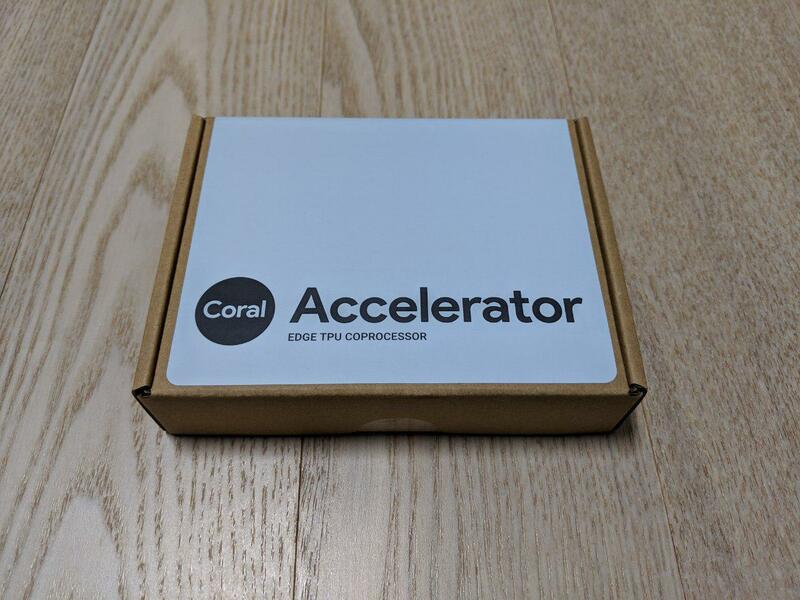 Coral launched dev board and usb accelerator a couple of weeks ago and they are now available on the store. 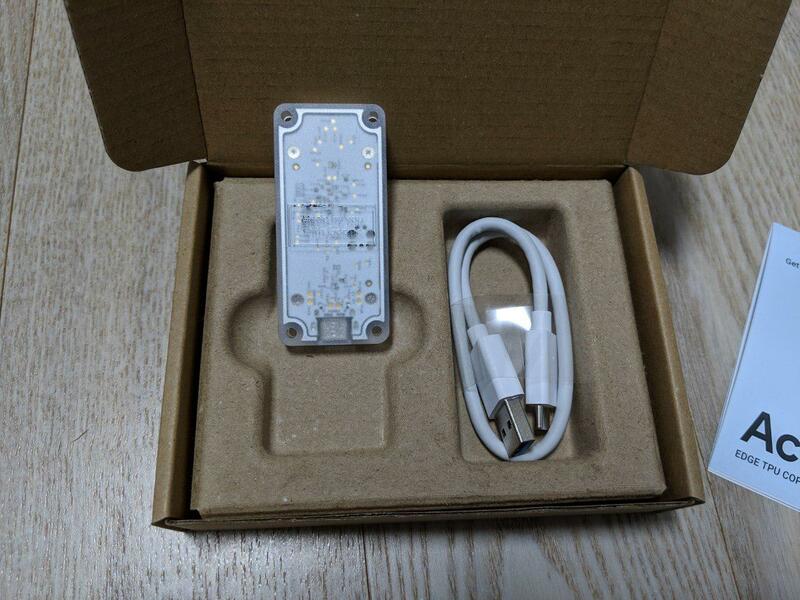 I though the usb accelerator would be enough for me, so I ordered one of it and tested on my Raspberry Pi 3B+. 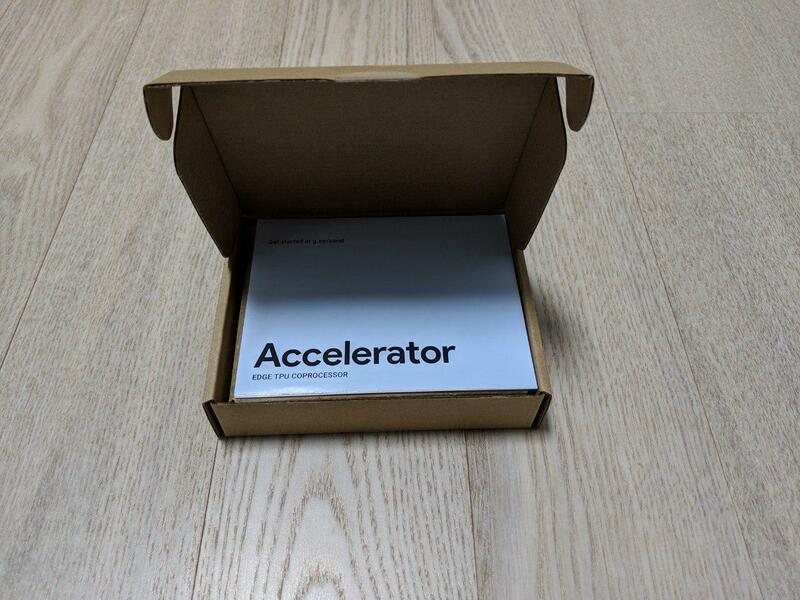 Fortunately, the shipping and delivery fee to my country was zero on Mouser. Ordered on Saturday and received on Monday. It installed several packages, changed udev rules, and copied library files. The guide advices to plug in & out the usb accelerator, but to make sure, I just rebooted the machine. W0320 09:13:03.732145    6245 package_registry.cc:65] Minimum runtime version required by package (5) is lower than expected (10). 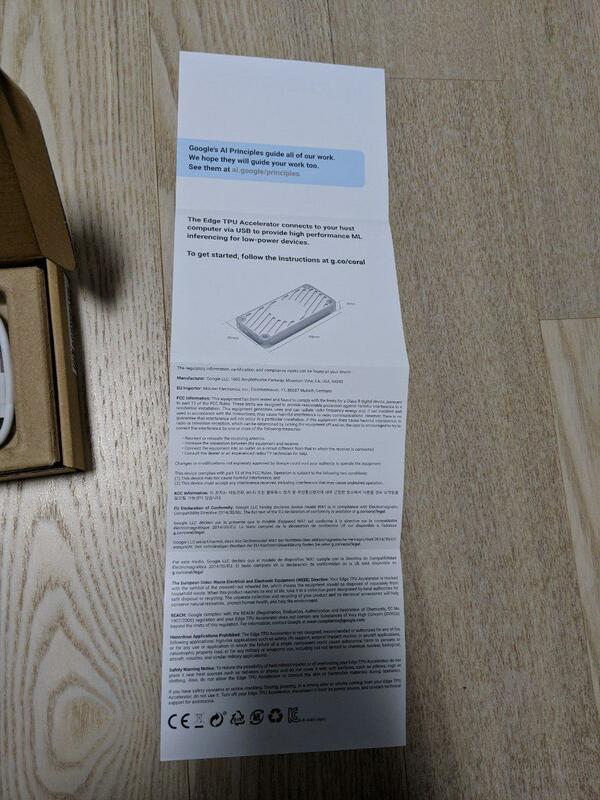 There was a warning message: Minimum runtime version required by package (5) is lower than expected (10).. It doesn’t seem like a critical issue, but needs to be fixed sooner or later. So, I got the usb accelerator and made sure it runs ok on my Raspberry Pi, but what to do now? Maybe I need to learn TensorFlow Lite and related stuffs, train my own models, and build some applications with them.